In the middle of toba Lake there is an island named Samosir. An island inside another island, interesting, isn't it. 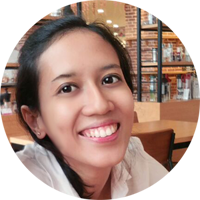 According to some blogs that I read, there are four ways to reach Samosir but the most popular route is the one that I tried. My family and I went to Ajibata Port in Prapat to take a ferry. 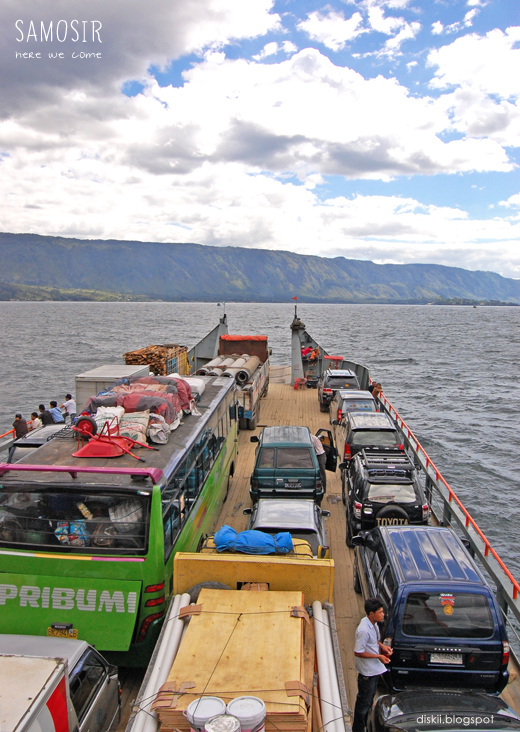 Along with our car we crossed the lake and arrived in Tomok, Samosir in about 45 minutes. 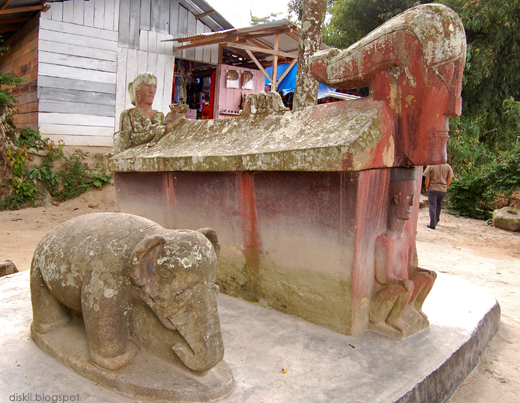 Tomok in local language means fat. I thought it is an odd name for a place. 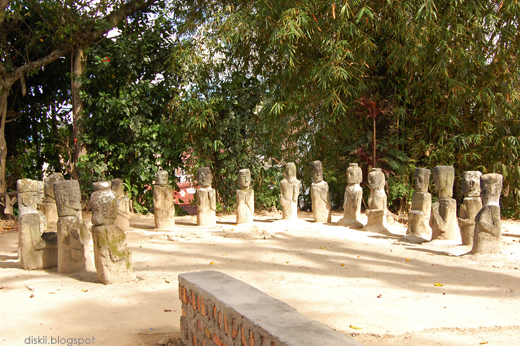 After we arrived at Samosir we left the car and walked to the tomb of Sidabutar Kings. There was a man here who explained us the legend about this place. I honestly didn't remember any of the story except for it was from a long long time ago before a christian missionary arrived at this island. Now, most of people here are Christian and they no longer had the same belief as Sidabutar Kings. 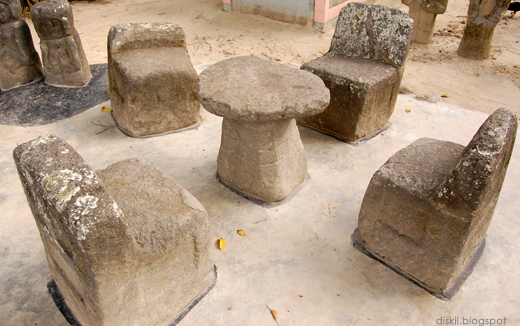 The ancient stone statues, furniture and tomb that made me remember my sister who studied archaeology. I think all the stone had some color when they made it. 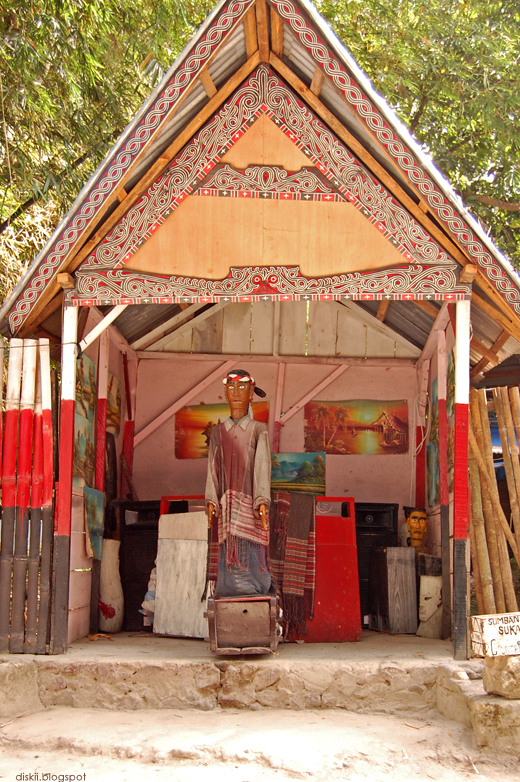 Then, the "tour guide" took us to another place near the tomb to see sigale-gale puppet. He said in the old days, this puppet can dance by itself for seven days because of some mystical power. I think sigale-gale is so scary, especially the eyes. 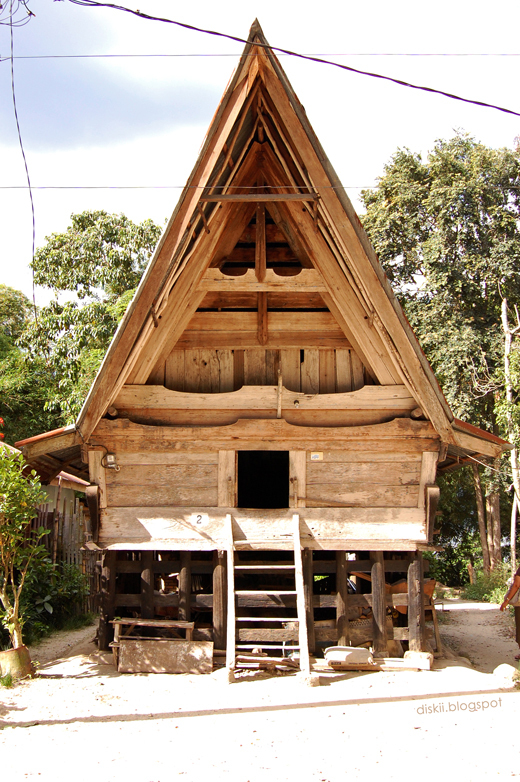 Near the sigale-gale there were some traditional houses which I think very interesting. Some of them are full colored but I like the plain houses better. After we finished 'the tour' we went back to our car. On the way there, we passed some souvenir shops. The seller offered their products in a very loud voice that made my heart skip a beat because I felt like being scolded. I know they did not mean to look angry, it was just the way they speak, but I didn't used to it yet. Hehe. Because there are more stories to tell I will write the tips and conclusion in the next post.